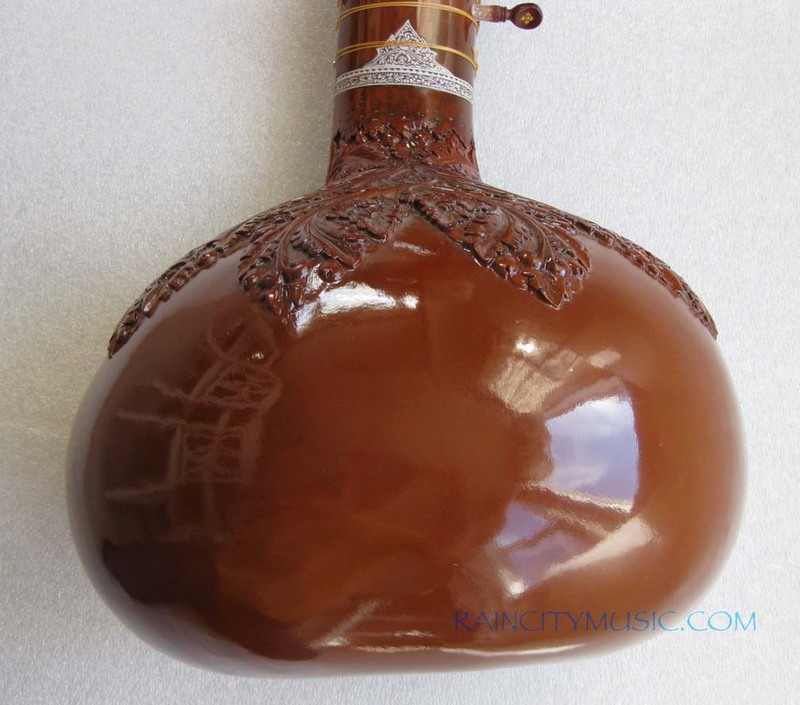 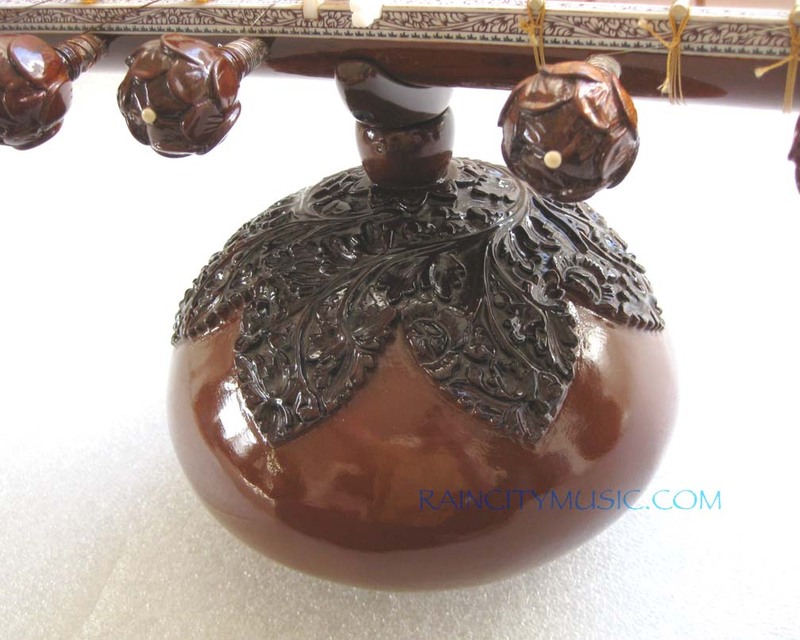 Sen Gupta full decoration sitar. 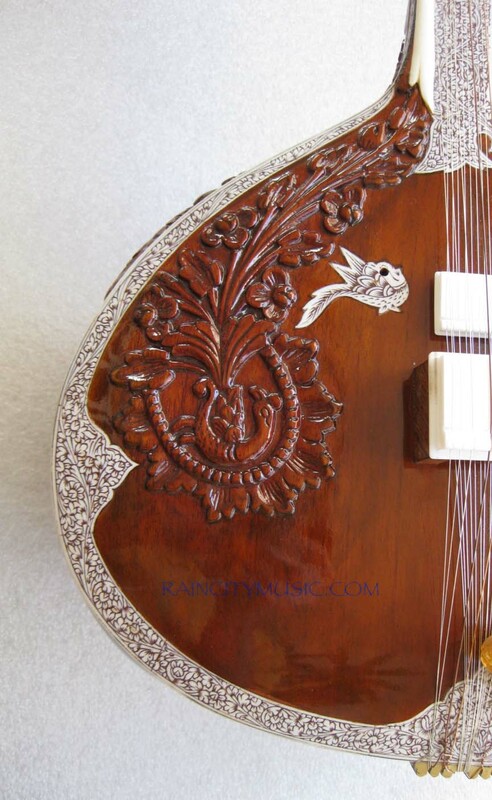 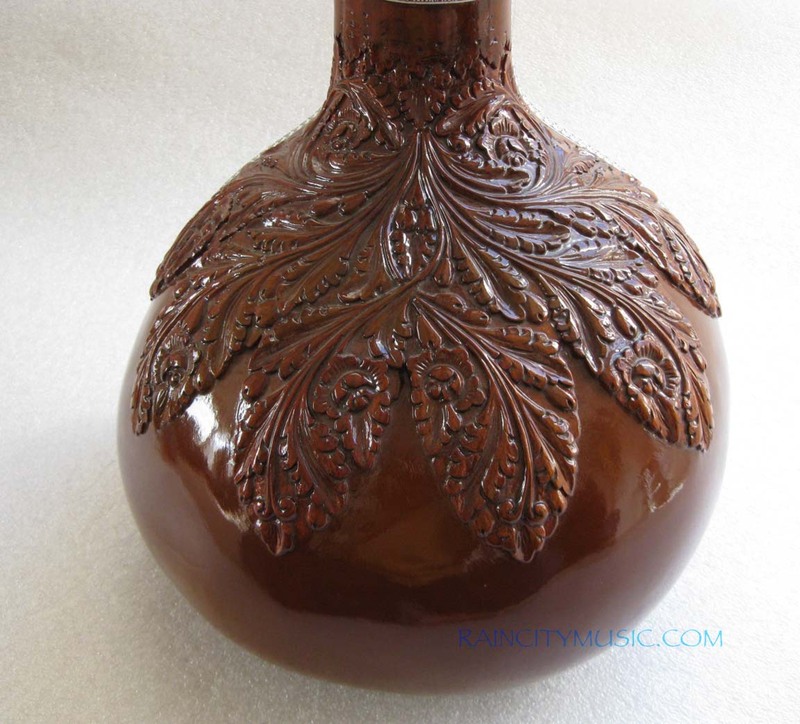 7 main strings ~ 13 sympathetics ~ natural top gourd and detailed penwork. 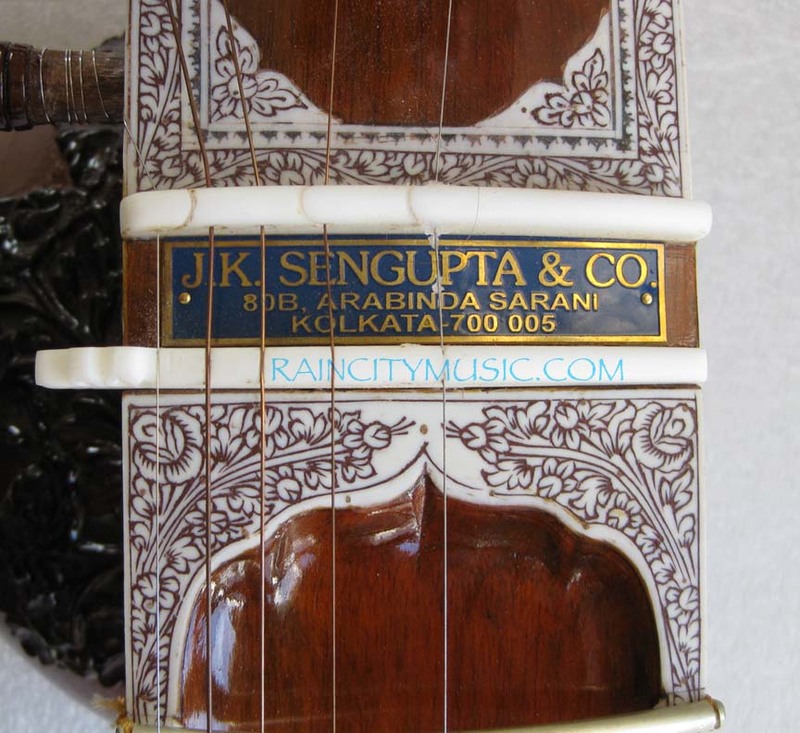 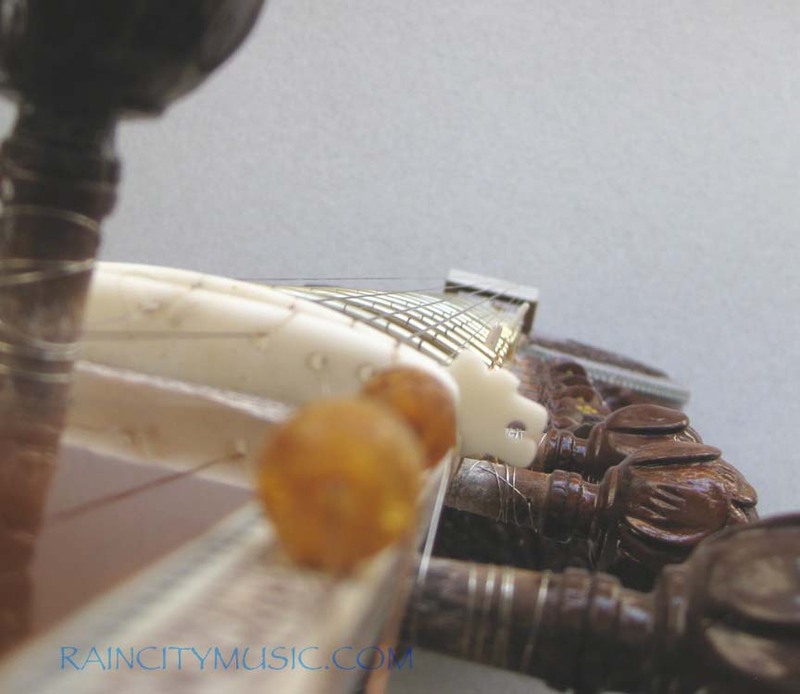 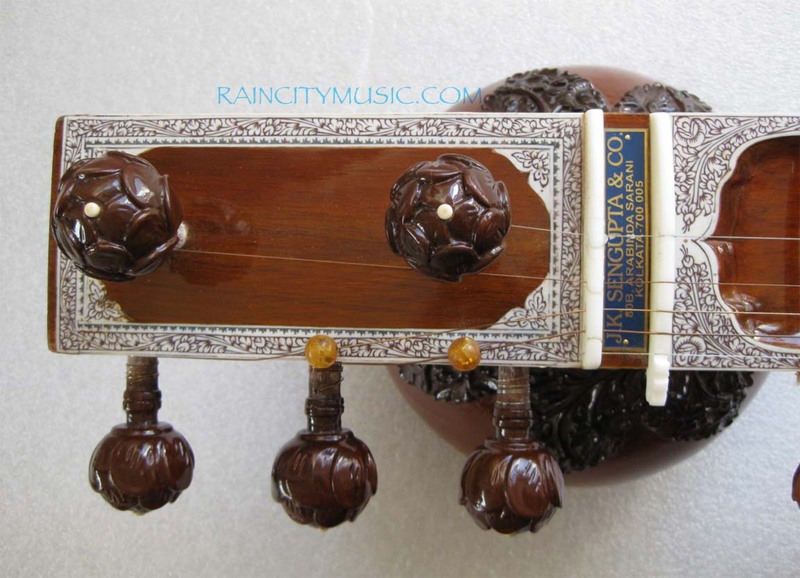 Made from very good aged mahogany, Jayanta SenGupta has a long history of making decent sitars. 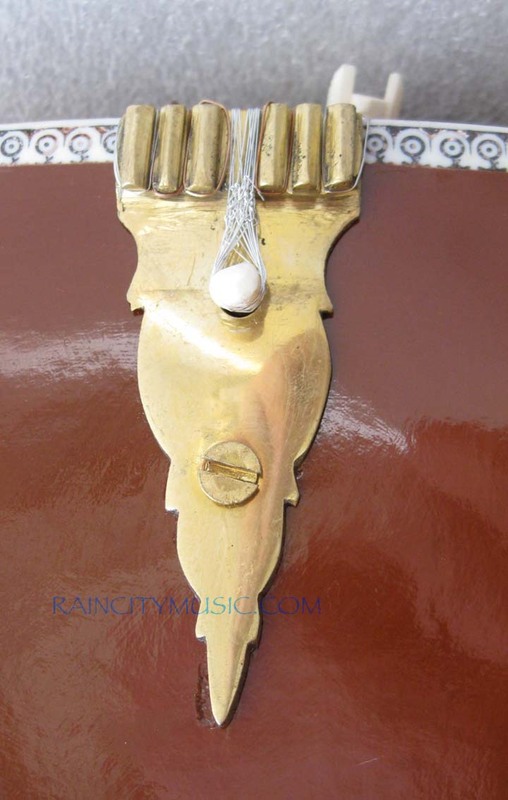 He takes his time and carefully does every step. 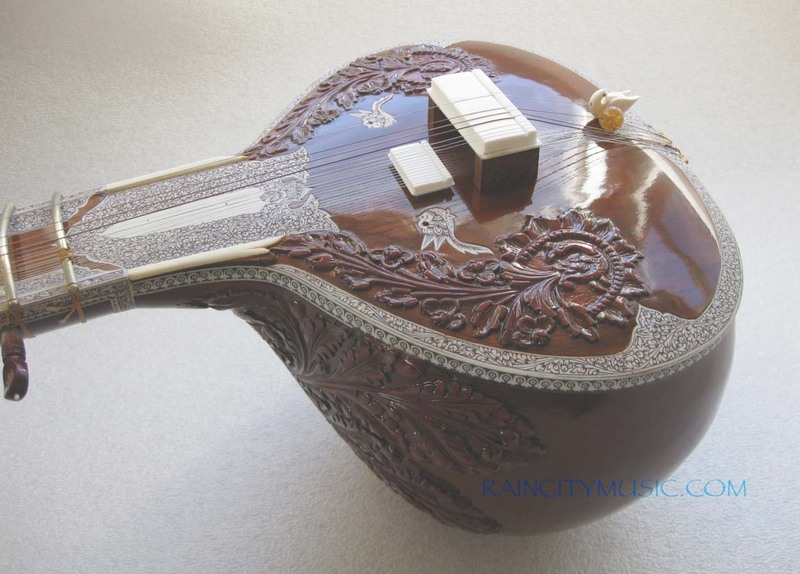 He is one of few makers left that does the structure in house. 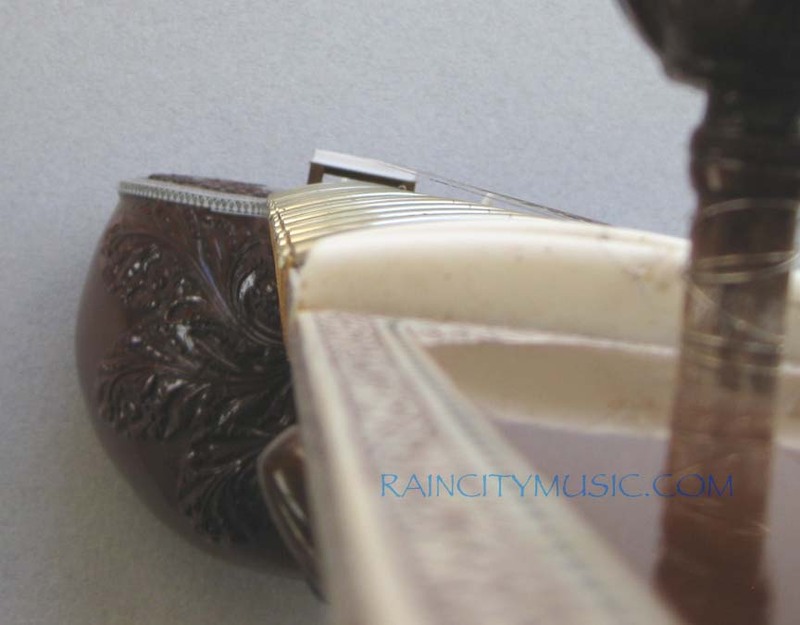 Bridges and fittings are synthetic/acrylic and main and sympathetic pegs are custom made. 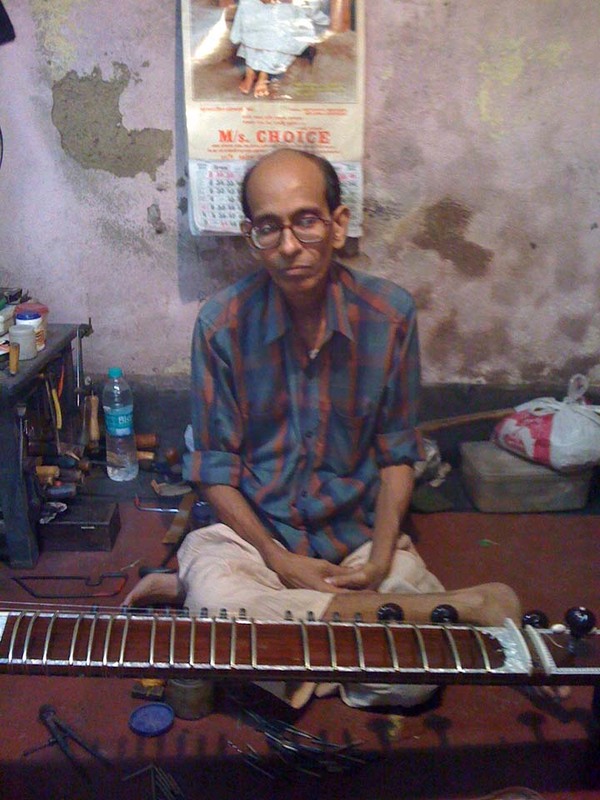 This is his top level model with a half open jawari, a good long term sitar for a serious player from one of Kolkatas best makers. 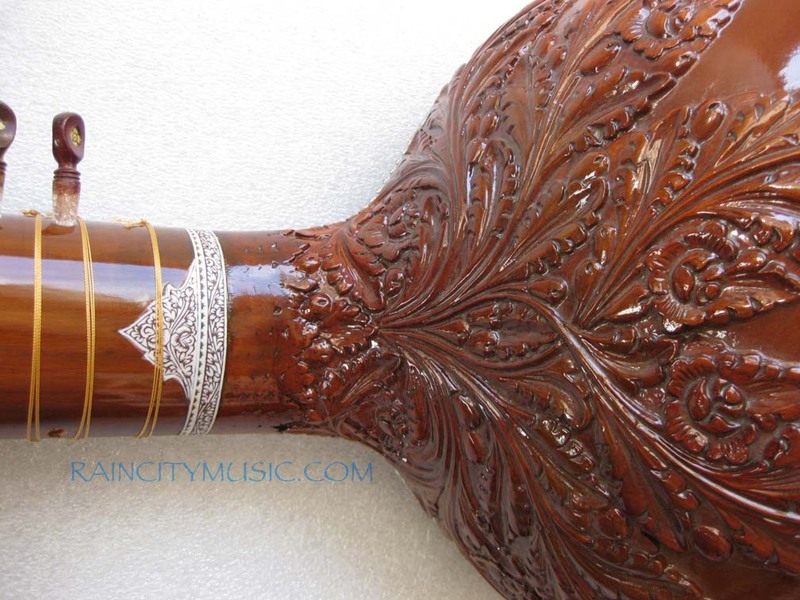 They also have probably the best polishing in Kolkata. 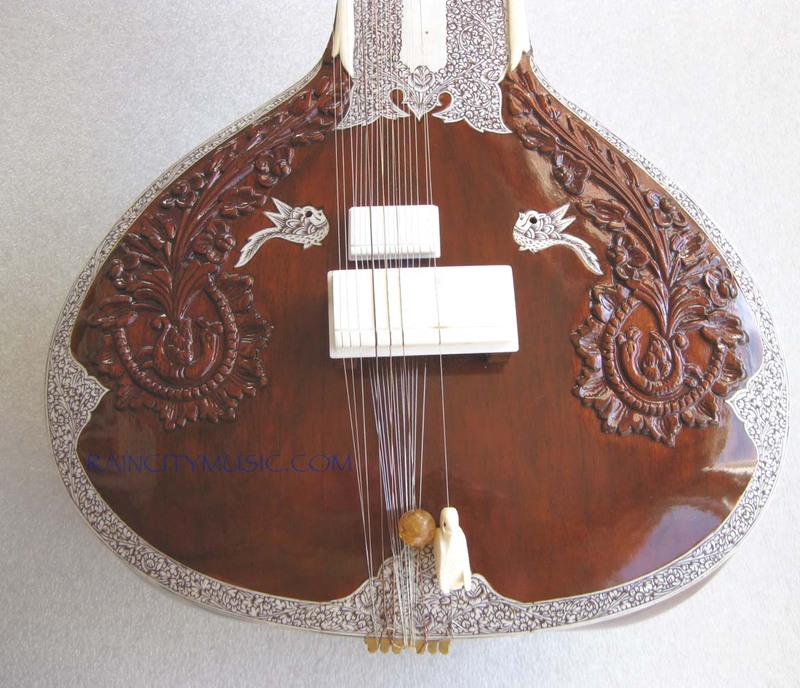 Sen Gupta instruments are generally custom order, we will be getting approximately 4 instruments per year from them, they don't make many per year and they are in great demand. 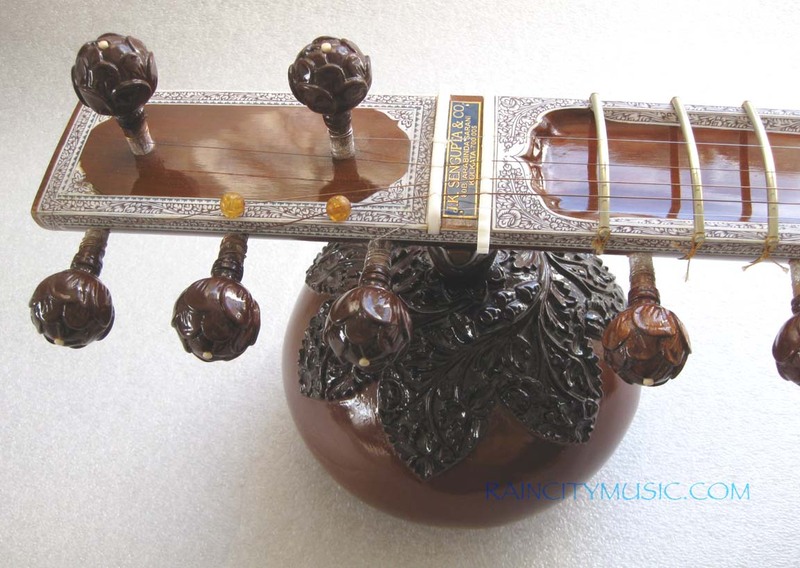 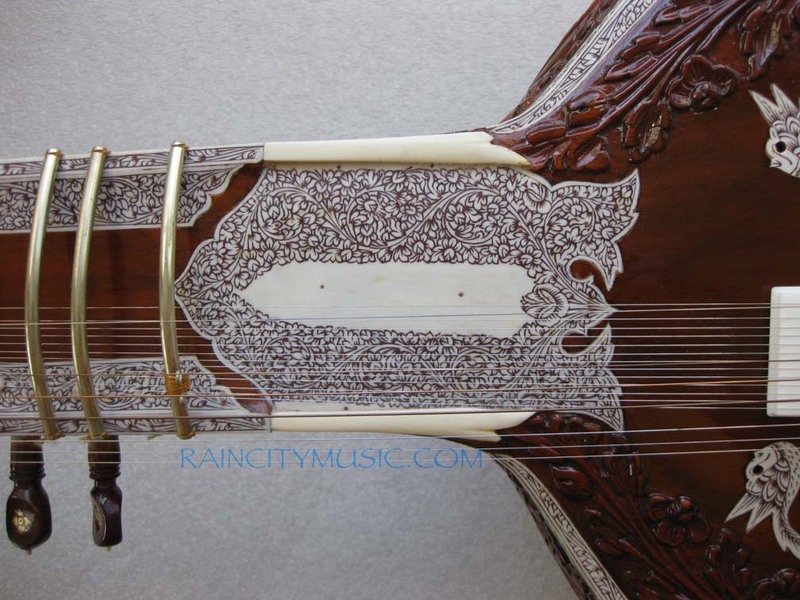 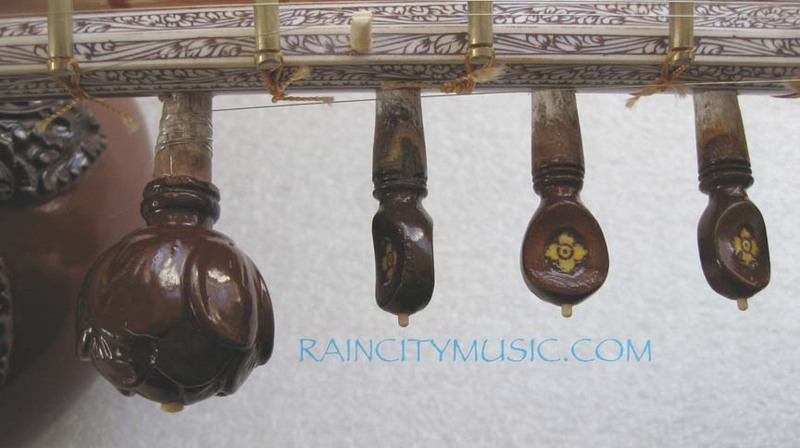 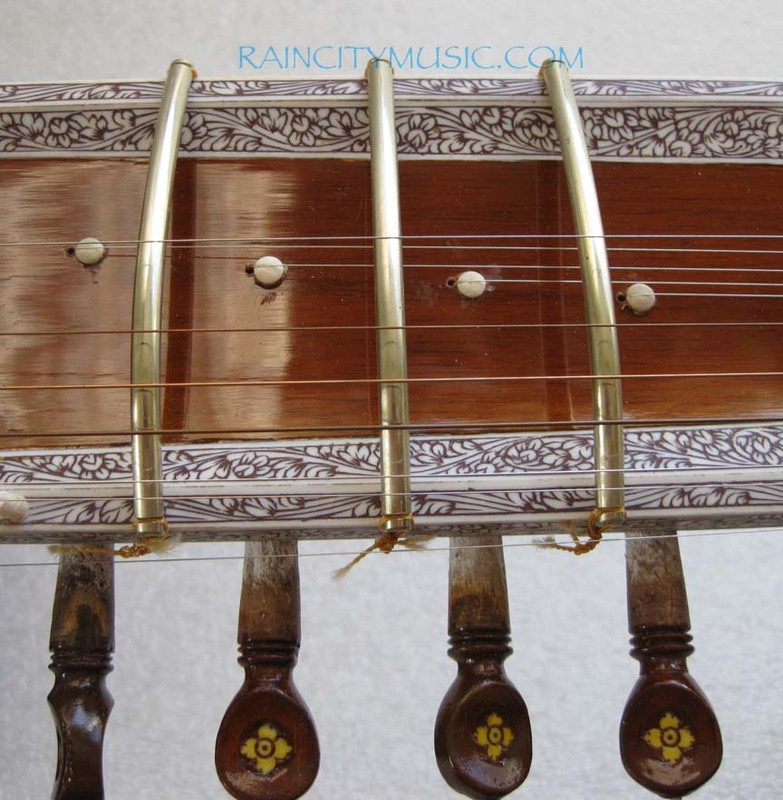 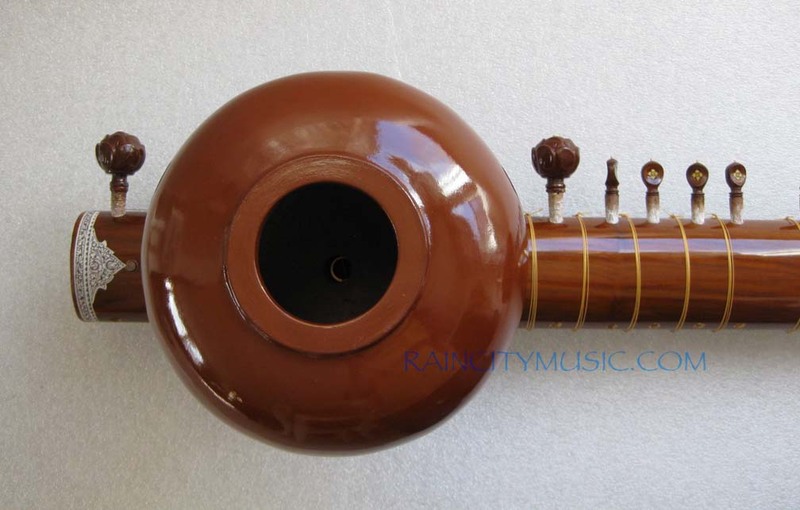 In stock sitar is similar to as shown below, serious inquiries please email for pictures. 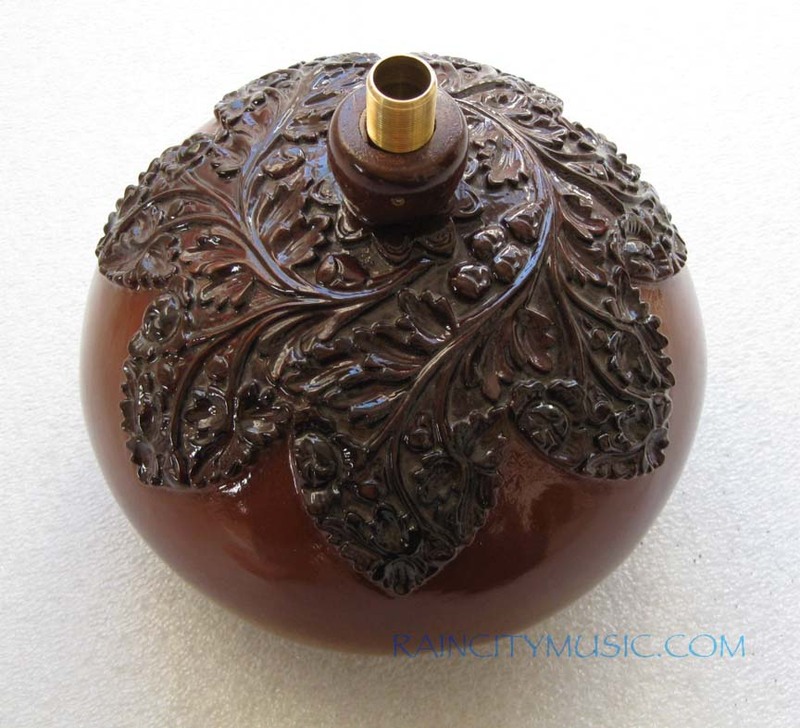 If not in stock we run a waiting list for them, if you'd like to be on it please email us! 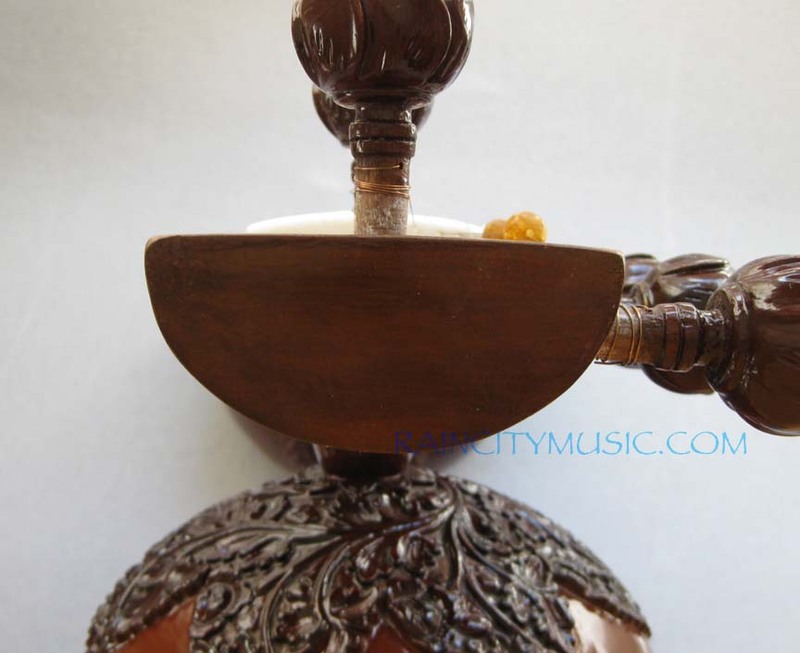 Add to Cart View Cart Email for availability Why is this?